Gâteau d’omelettes (Omelet Cake) is a French dish made for brunch, picnics and buffets. It comprises of layers of thin omelets, alternated with ratatouille and tapenade. 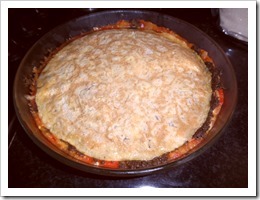 We present here a recipe shared by Monique from France. We separated out the recipes for Ratatouille and Tapenade and then explained how to assemble the gateau. Regarding the Ratatouille, Monique wrote. "Each person has their own recipe (the only genuine one, for sure!)" So you’re welcome to use your favorite ratatouille recipe if desired. We include Monique’s recipe below. Dice or slice the eggplant. Some people sprinkle salt on it to remove the water. Then they let it sit in a colander for 1/2 hour. Then they rinse them well and "dry" them with paper towel. Other people skip this step – like my mom and I! 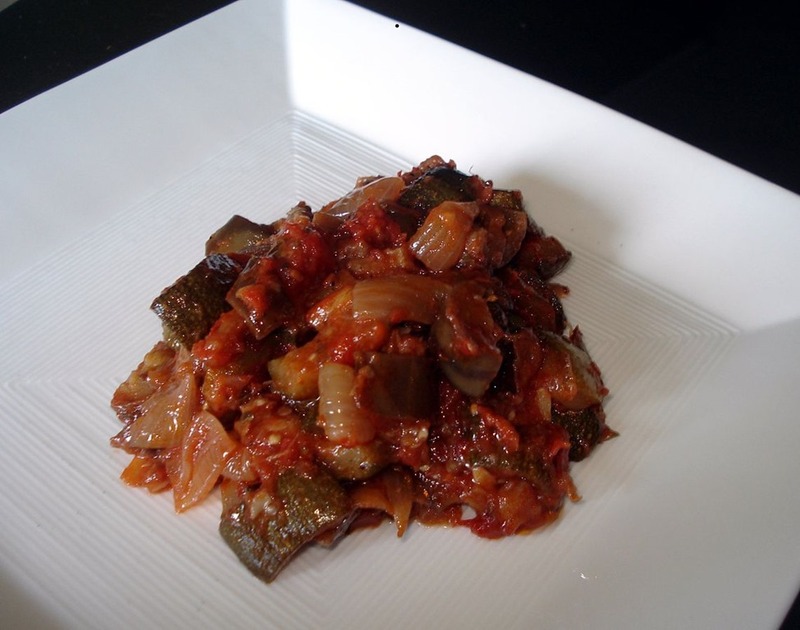 Wash, clean and slice or dice the veggies and keep them separate (eggplant, onions, peppers and zucchini). 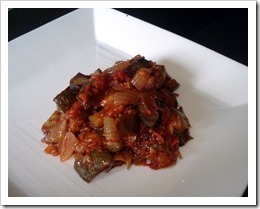 Fry the vegetables separately in olive oil, starting with the eggplant. The eggplant absorbs quite a lot of oil but once they’re fried, you can put them in a colander above a bowl while you fry the onions. Then you use the oil from the bowl to fry the bell peppers and zucchini. Then fry a clove of garlic but don’t allow it to brown. Put everything back in the frying pan (or wok, it has to be large). Add the tomatoes, salt and pepper and 1/2 t. sugar to reduce the acidity. After some time, lower the heat and allow it to simmer until everything is well done and it’s no longer watery, at least 30 to 45 minutes. Some people add a bay leaf or thyme, but I don’t. Mix ingredients well in a blender. 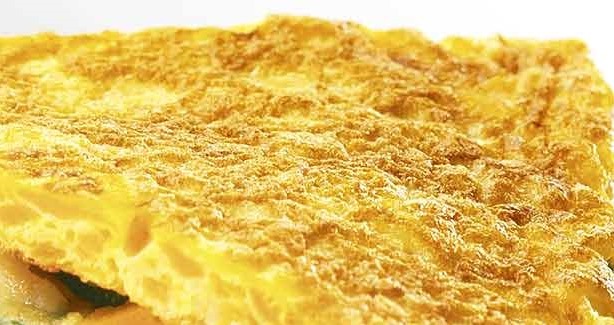 Make five two-egg omelets in a large (12") frying pan. They must be very thin (about 1/8 inch thick). 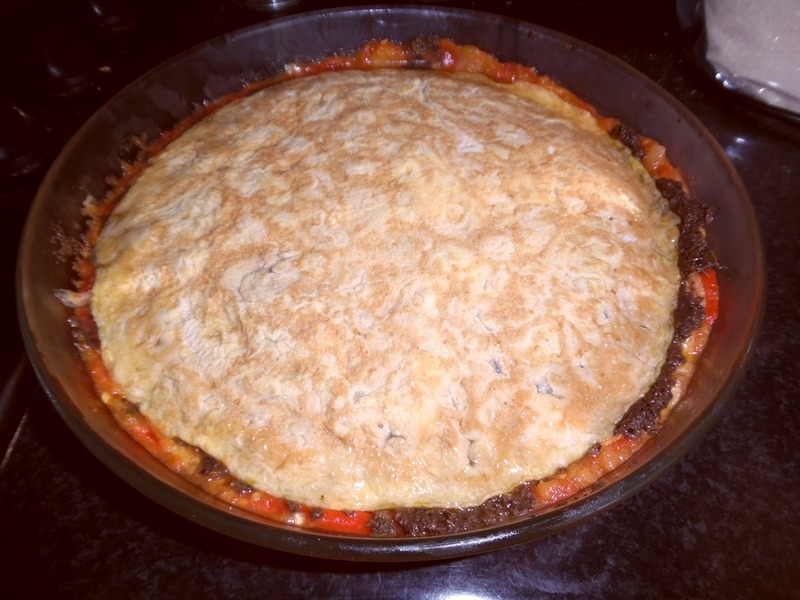 Put the 1st omelet in a glass pie pan and then cover it with a layer of cold ratatouille. Then put an omelet on top and cover it with a layer of tapenade. Repeat a layer of omelet and then ratatouille, another omelet, some tapenade and finish with an omelet. Put an upside-down plate on top and put in the fridge –it can be prepared for the next day. Cut it as you would any round cake and serve it with some green salad. Many thanks to Monique Palomares for sharing this recipe with us! Monique works with me on the French and Spanish versions of Mama Lisa’s World and is a frequent contributor of the Blog. 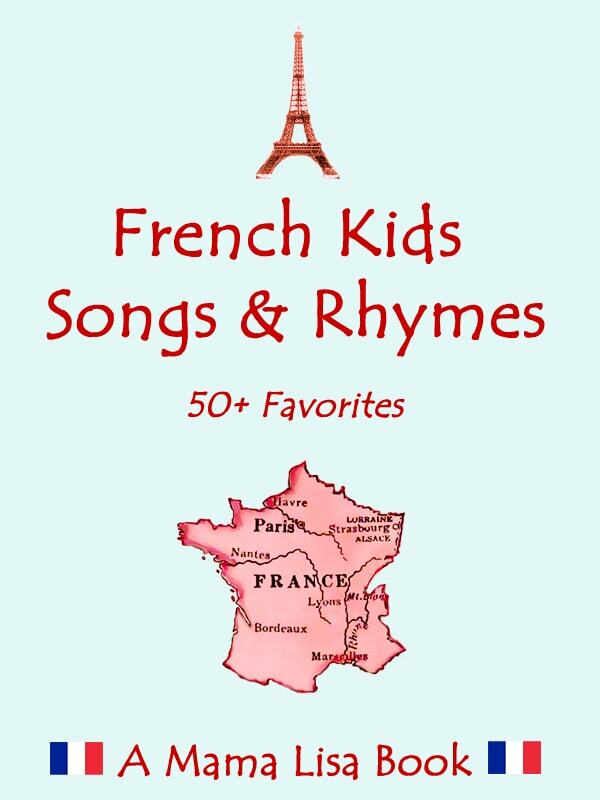 This article was posted on Tuesday, August 11th, 2015 at 8:22 pm	and is filed under Countries & Cultures, Cuisine, France, French, French Cuisine, Gateau d'Omelettes, Languages, Recipes of the World. You can follow any responses to this entry through the RSS 2.0 feed. You can leave a response, or trackback from your own site.